I've had this recipe for the past 15 years and one day just decided to make it. There are so many wonderful elements to this dish and the taste is extremely complex. 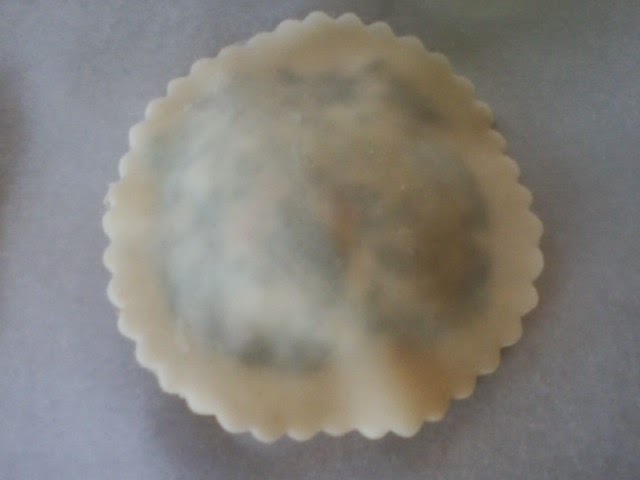 I have made the making of the pasta a lot easier by using wonton wrappers instead of making the pasta from scratch. 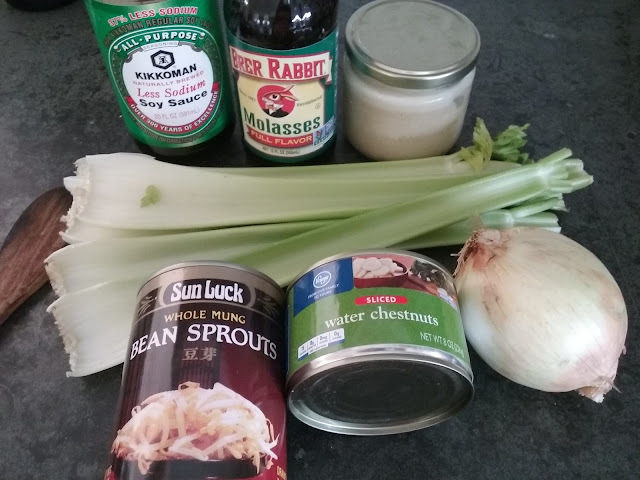 It is also one of those recipes that is rather tedious in the prep-work department, but for those of you, who like me, enjoy a project, this is one of them. 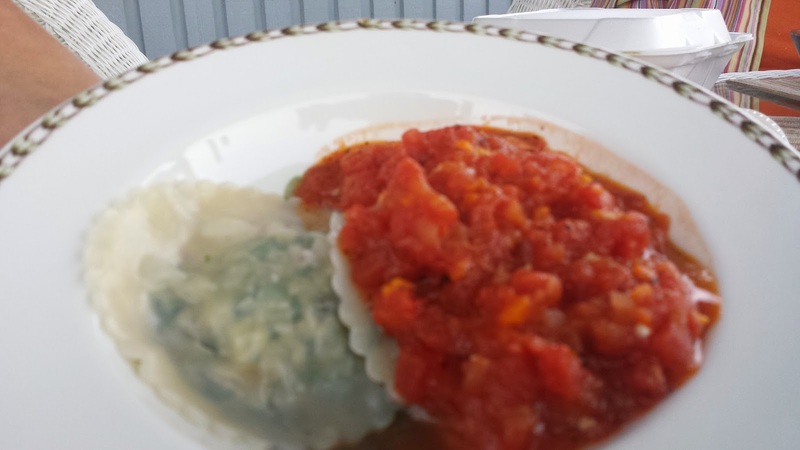 The flavors are outstanding, and you can serve the ravioli with just a small pour of olive oil, or with a tomato sauce. Below I have pictured as many steps as I can and I think it's worth the work! Now, let's cook! 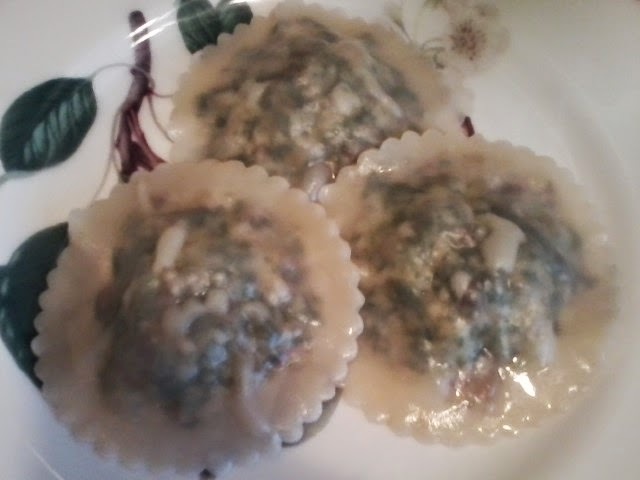 Put frozen spinach in a casserole and cook 3 minutes in microwave. Add fresh spinach and cook another 2 minutes. Dump in a colander and cool. Press on spinach to get most of the liquid out, then squeeze as much water out as you can with your hands. Chop fine. 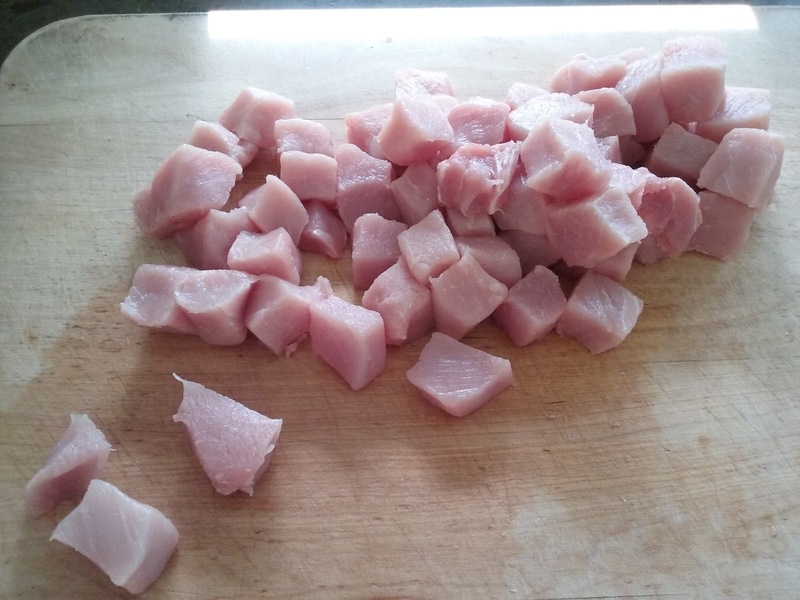 Saute the pancetta, onion and pine nuts until onions are lightly browned. In a large bowl, mix the cheeses, egg, chopped walnuts, chopped raisins and grated nutmeg. 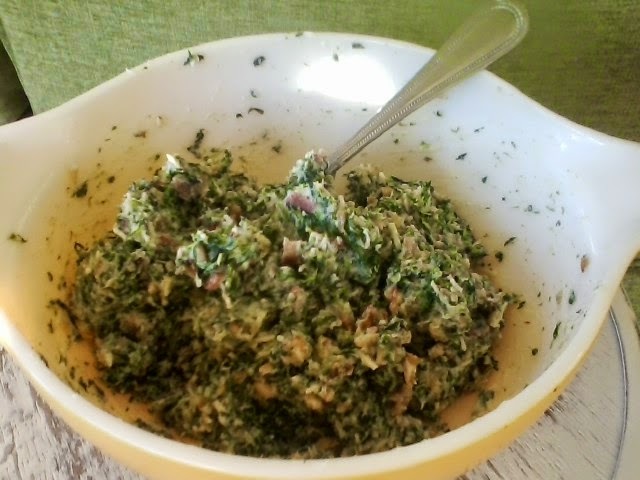 Add pancetta mixture, spinach, salt and pepper, and mix with your hands. Set aside. 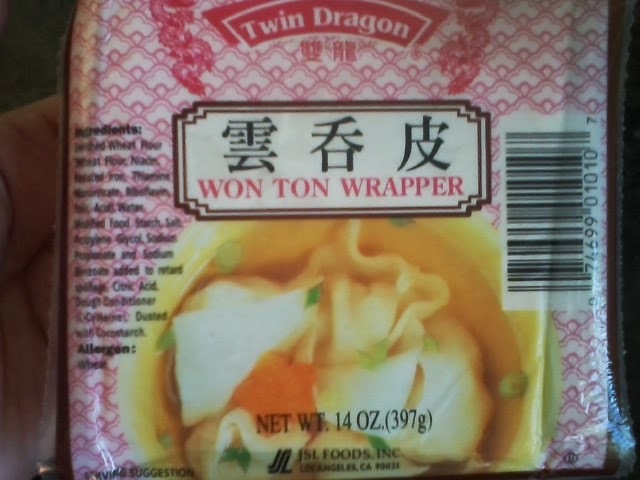 Open wonton wrappers, put on a small plate and cover with a damp napkin. Place a small bowl of water next to the wrappers. Fill a large pot with water and bring to a boil. Add a tbsp olive oil and 2 tsp of salt. 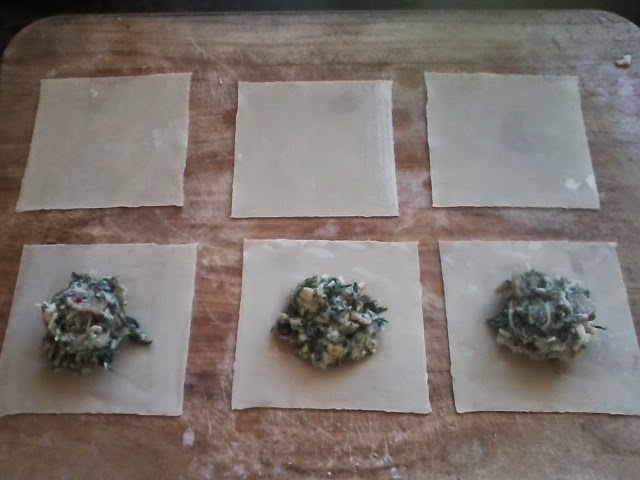 On a cutting board, place six wonton wrappers, three to put filling on and three to cover. Place your finger in water and run along all edges of three wrappers. 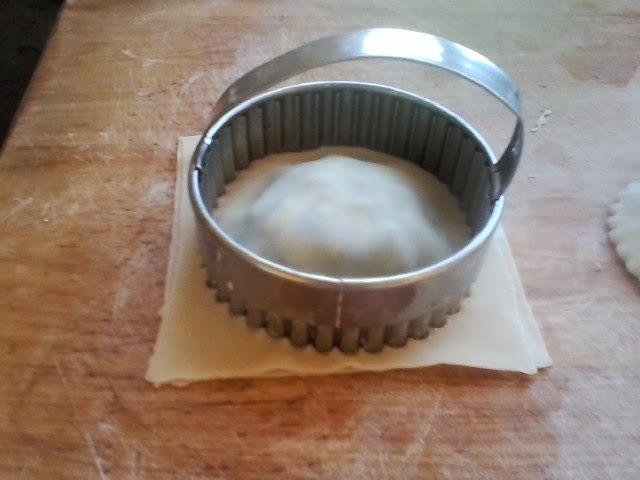 Place a spoonful of filling in center of each. 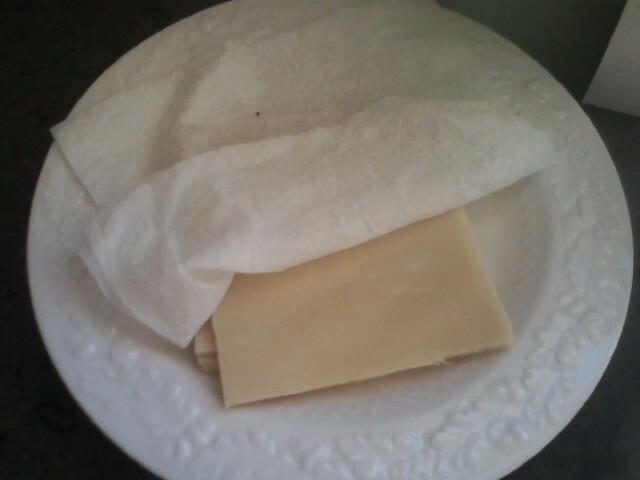 Place other wrapper on top, and flatten slightly. 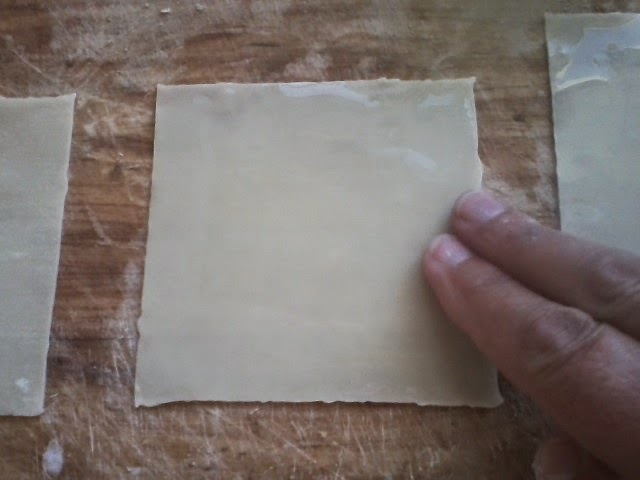 For this recipe, I used a fluted cookie cutter, but you can forego and just use wrappers as they are. 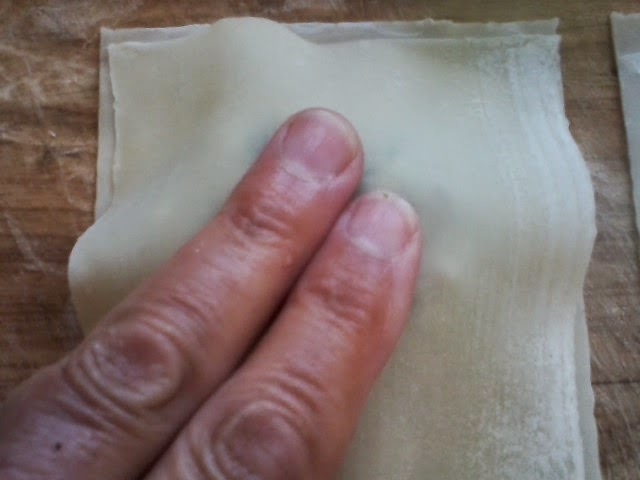 Seal the top wrapper to the bottom, getting all air bubbles out, (see single ravioli below with a little air pocket...push air out of skins and pinch sealed). 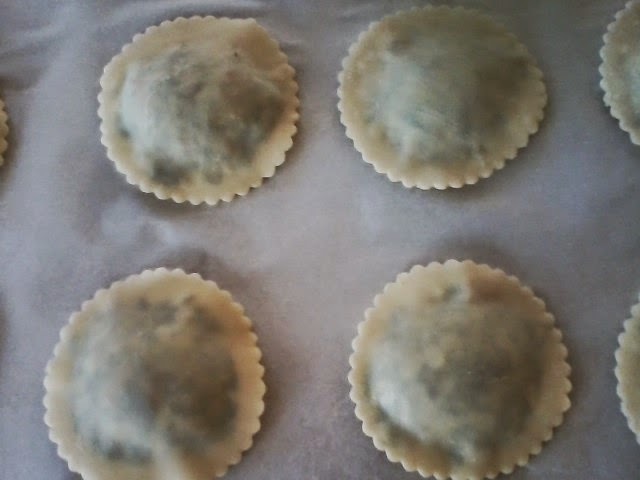 Place ravioli on parchment paper-lined cookie sheet. At this point, you can put the cookie sheet in the freezer, freeze the ravioli, put in a freezer Ziploc and put back in the freezer to cook at a later date if you wish. 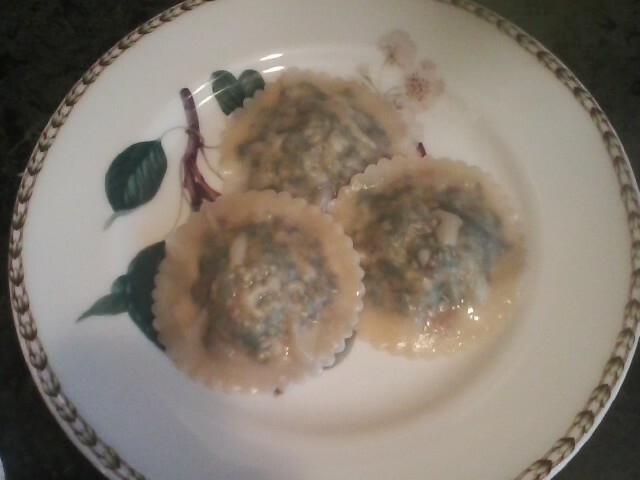 Put 5 ravioli at a time in the boiling water and cook for 4-5 minutes. Remove with slotted spoon. They should rise to top when done. Bon appetit! 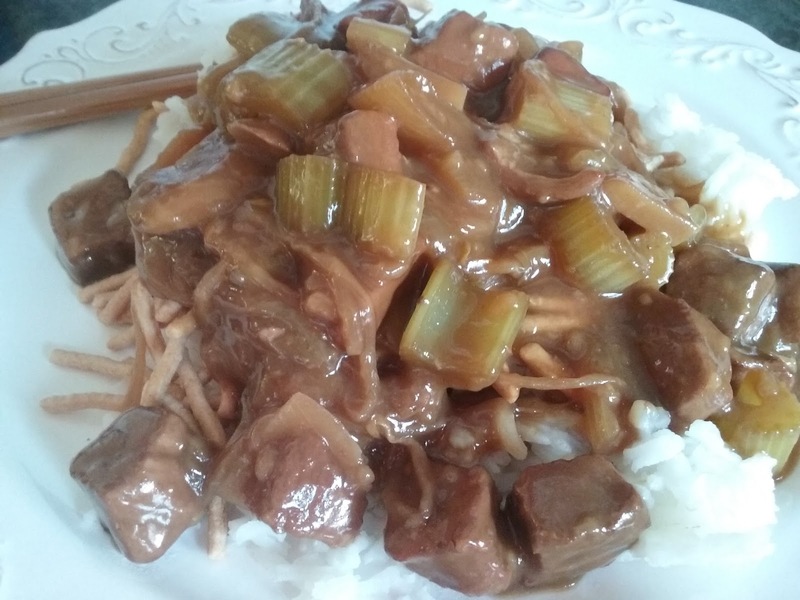 Recipe #117: My Mom's Chop Suey...Simple but Truly a Winner! In a large dutch oven over high heat, melt bacon fat until smoking. 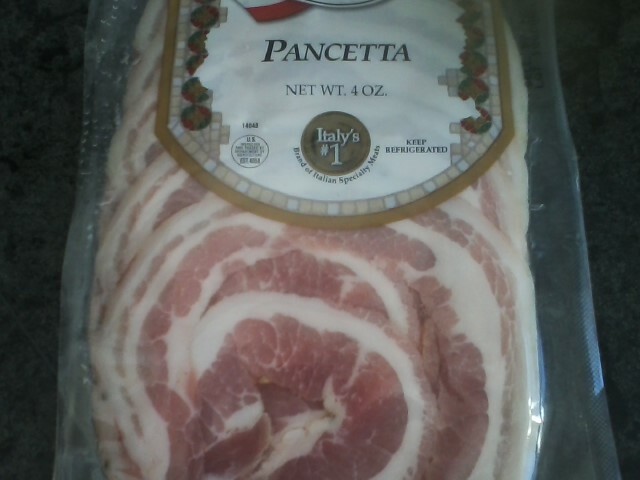 Brown pork on all sides. Add salt and garlic and cook just a minute more. Turn heat down to medium and and add 4 cups water. 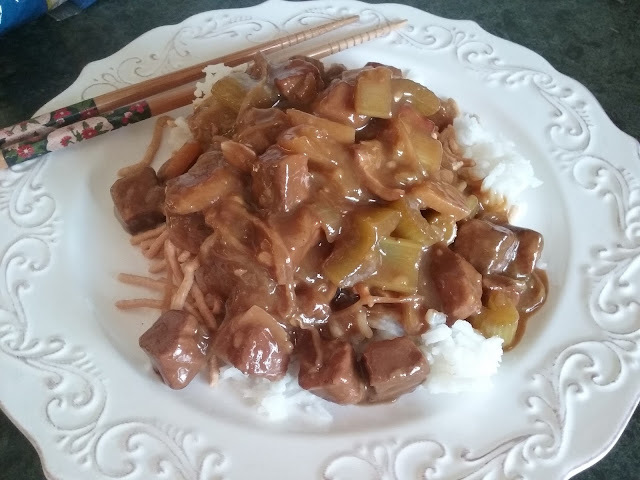 Stir in the soy sauce and molasses. Here's where it may get tricky. There should be a salty/sweet taste to the liquid. Too much molasses makes it sharp tasting, and too much soy sauce makes it too salty tasting. Taste until you feel comfortable. Bring to a boil, then simmer for a an hour. 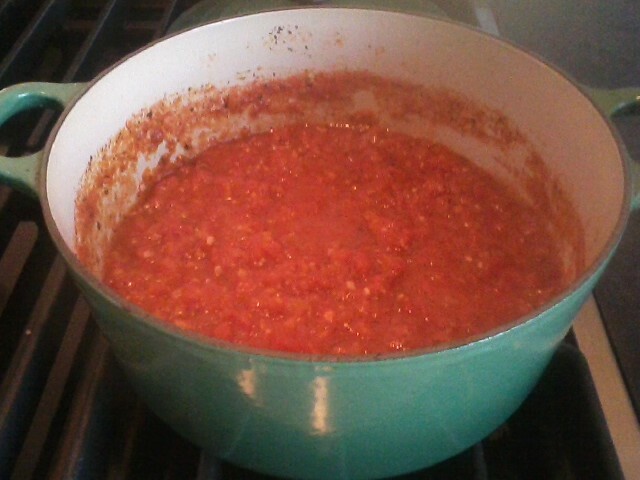 Add rest of ingredients and simmer for another 30 minutes. The water should be below the meat at this point. 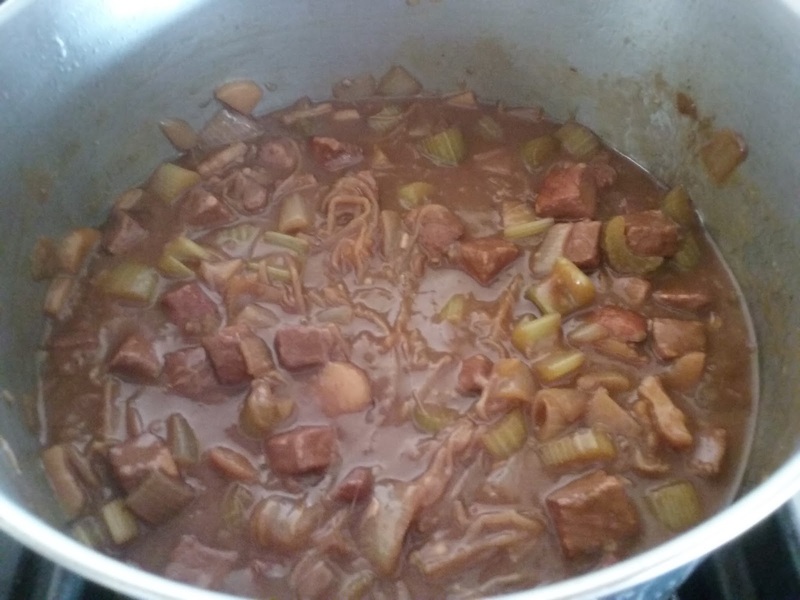 In a small bowl, mix 2 tbsp flour with 1/3 to 1/2 cup of the chop suey juice to make a thick slurry. Add to pot, stirring constantly, until mixture thickens, making sort of a gravy. I always serve over rice and hard chinese noodles. Bon appetit!